The Federal Communications Commission yesterday publicly released its proposed net neutrality framework after it passed with a 3-2 vote. It is now open for formal public comments for the next four months. The notice of proposed rule making (NPRM) asks whether "paid prioritization" should be banned outright. It also seeks feedback on whether broadband Internet service should be considered a public utility. In addition, the proposed plan would prohibit service providers from blocking any legal content and from prioritizing delivery speeds for their own content. The framework would also create a watchdog position to look for abuses. FCC's republican commissioners, Ajit Pai and Michael O'Rielly, voted against the proposal. "Every American who cares about the future of the Internet should be wary about five unelected officials deciding its fate", Pai said. On the other hand, Democrats Mignon Clyburn and Jessica Rosenworcel voted in favor of it. Wheeler was able to gain the support of fellow democrats after he incorporated some changes to his proposal this week. Despite the support, Rosenworcel believes that the process was rushed. "I would have preferred a delay. I think we moved too fast to be fair", she said. But Wheeler says new rules are needed after the US Court of Appeals for the District of Columbia Circuit threw out old net neutrality rules back in January. 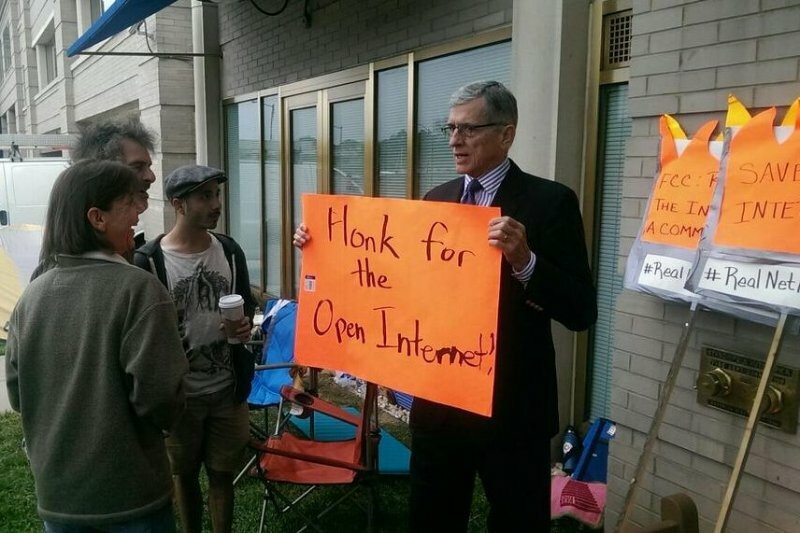 Several net neutrality advocates protested outside the agency's headquarters, raising placards and arguing for utility-like regulation of Internet service to ensure freedom of speech online. Wheeler said that his proposal does not allow the creation of fast lanes for some Internet content, but appeared to acknowledge that it could allow deals among companies like the one Netflix recently had with Comcast. Just a couple of days ago, many of the nation's biggest telecommunications providers sent a strongly-worded letter to the federal agency warning it against reclassifying and regulating the internet as a public utility. "Utility regulation would strangle investment, hobble innovation and put government regulators in charge of nearly every aspect of Internet-based services," Jim Cicconi, AT&T's senior executive vice president of external and legislative affairs, said after the vote. Wheeler has already received around 100,000 emails on the issue since he unveiled the proposed plan last month. With the proposal now open for public comments, the debate on whether the Internet needs tougher regulation or be left free from government interference will only heat up.